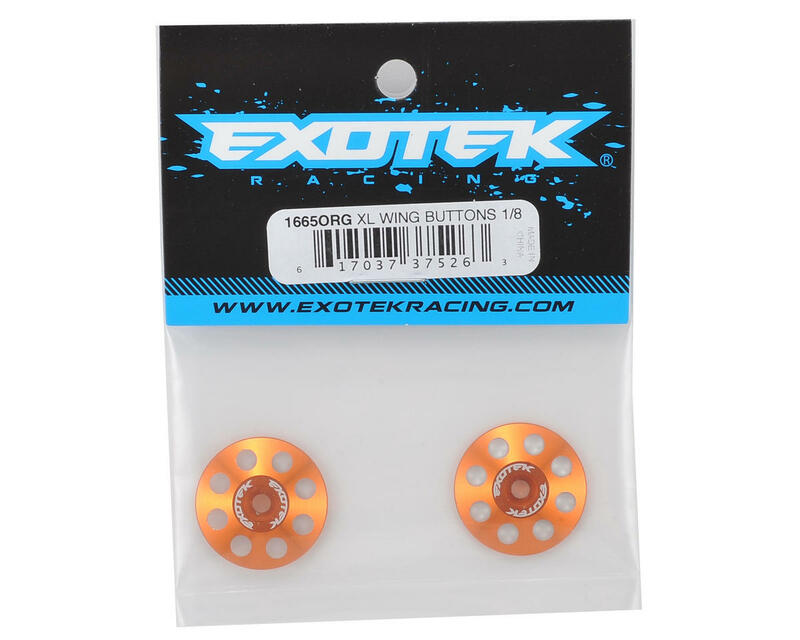 Exotek 22mm 1/8 XL Aluminum Wing Buttons are heavy duty, polished and anodized in a variety of colors to match your factory colors or paint scheme. 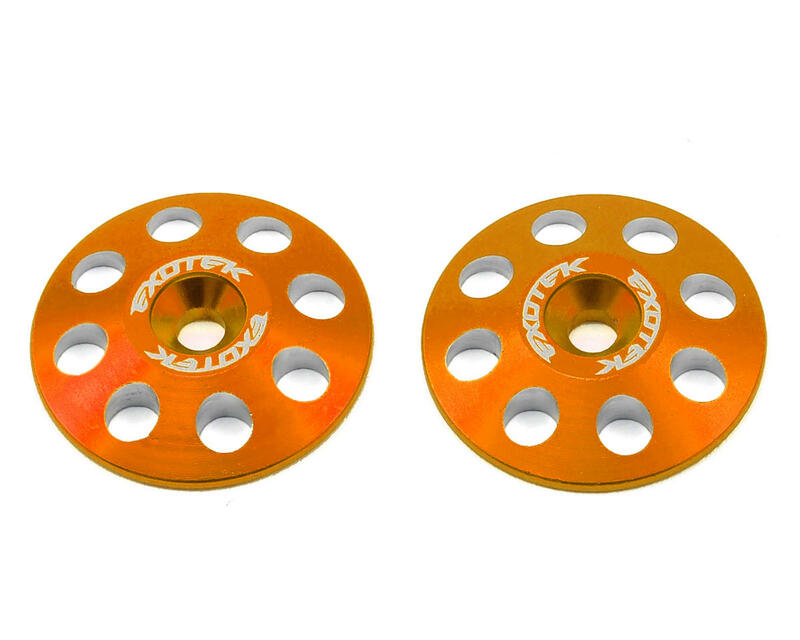 The extra large 22mm diameter buttons are compatible with screw type wing mounts, and are thicker than 1/10 buttons, providing an incredibly secure hold on your wing and offering protection from crashes. See photo below for steps to convert your 'body clip' type wing mounts to 'screw down' type wing mounts (recommended for experienced hobbyists only). These things are huge compared to normal 1/8 scale buttons and look great.